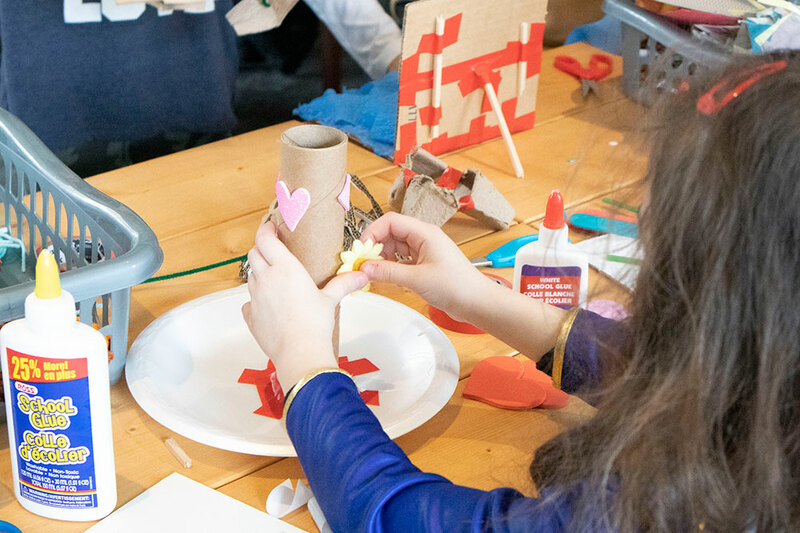 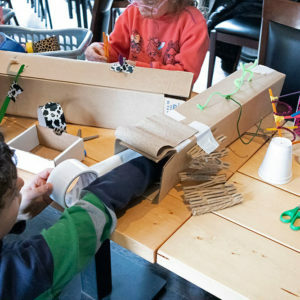 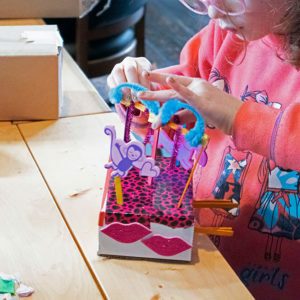 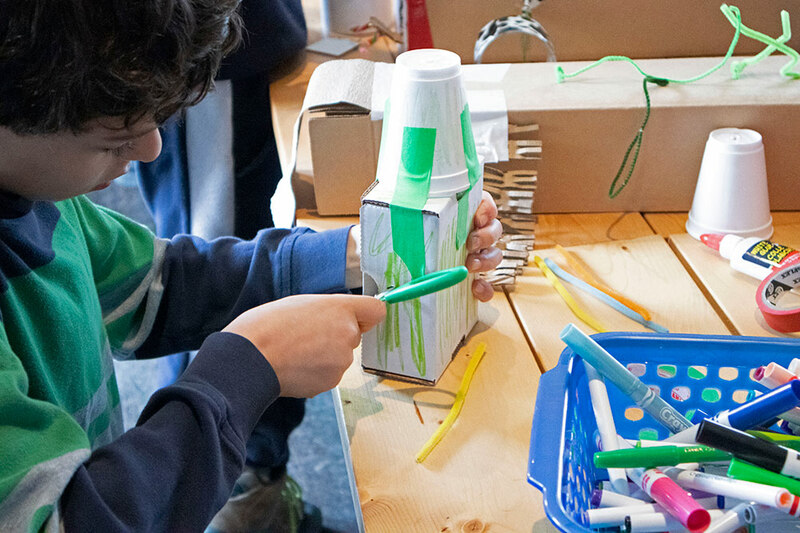 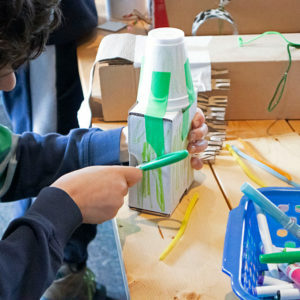 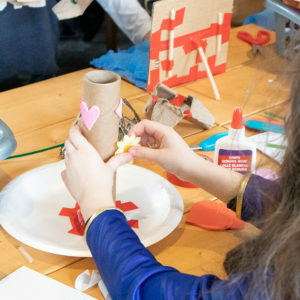 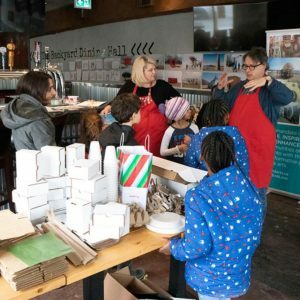 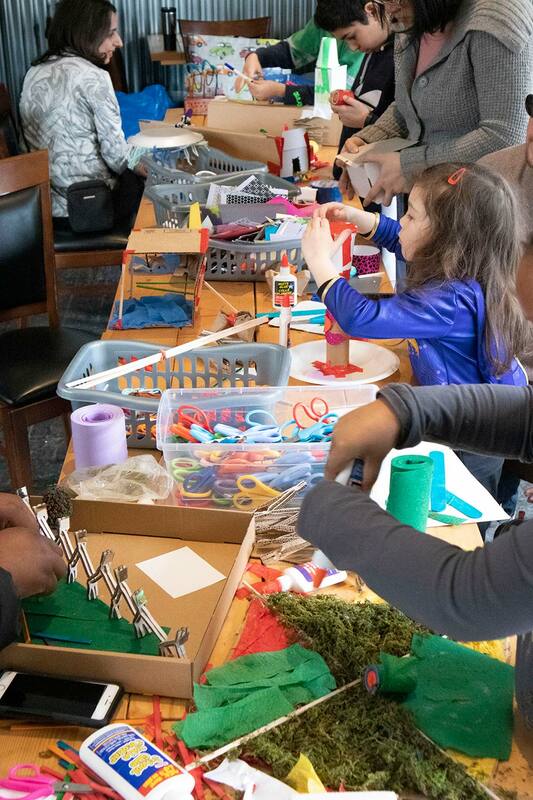 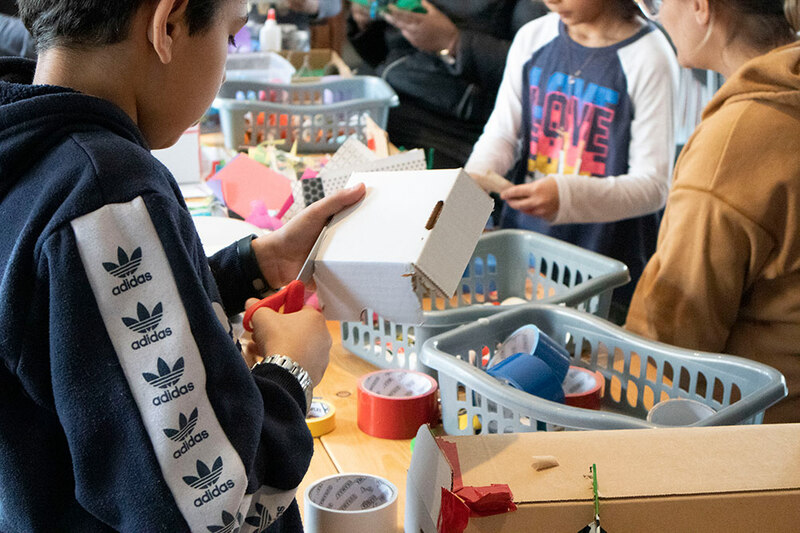 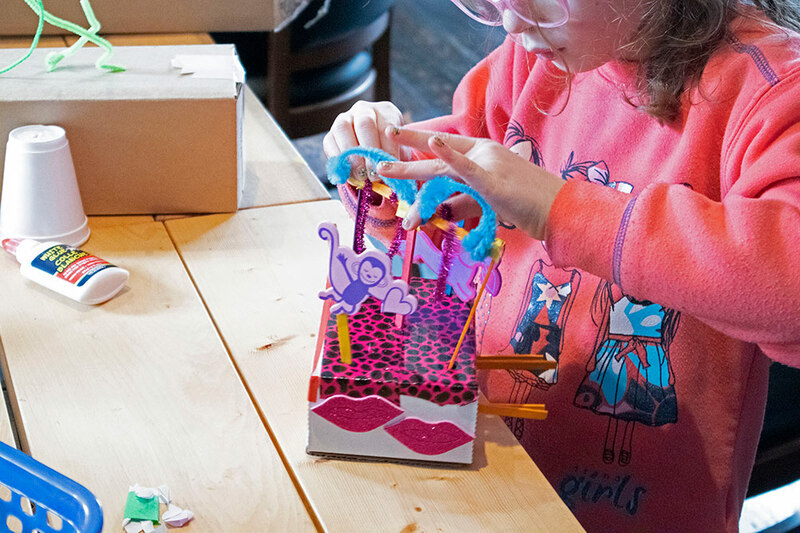 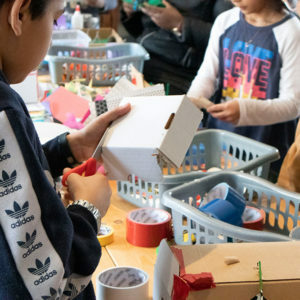 On Sunday March 23rd, 2019, East End Arts, in collaboration with Small Print Toronto, engaged with creative city builders ages 4-12 to experience Winter Stations in a unique way: a tour of the 2019 installations, followed by a pop-up arts and craft activity on Queen St. East! 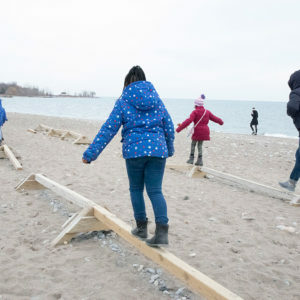 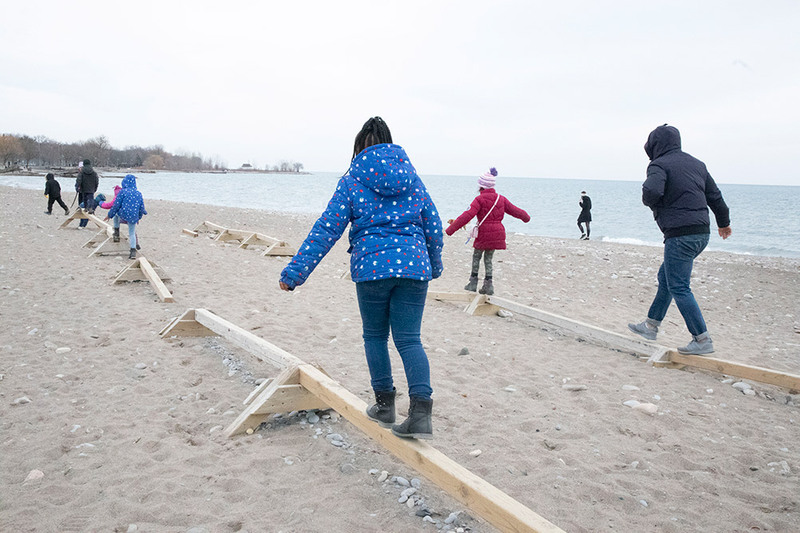 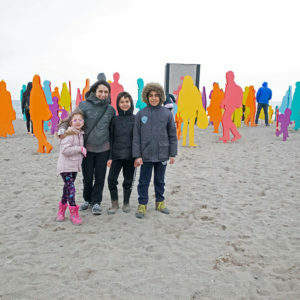 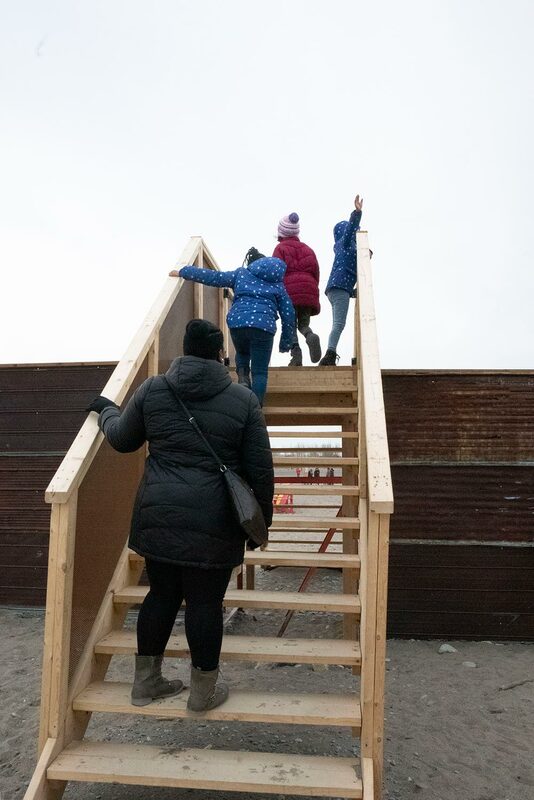 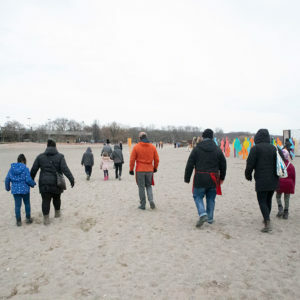 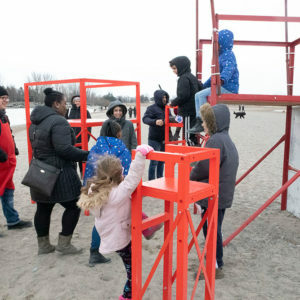 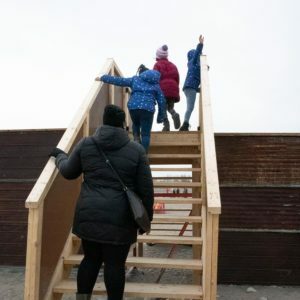 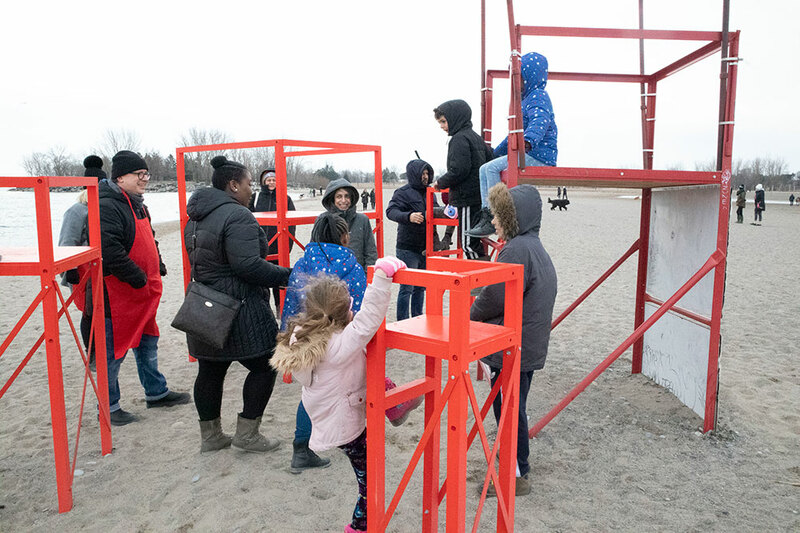 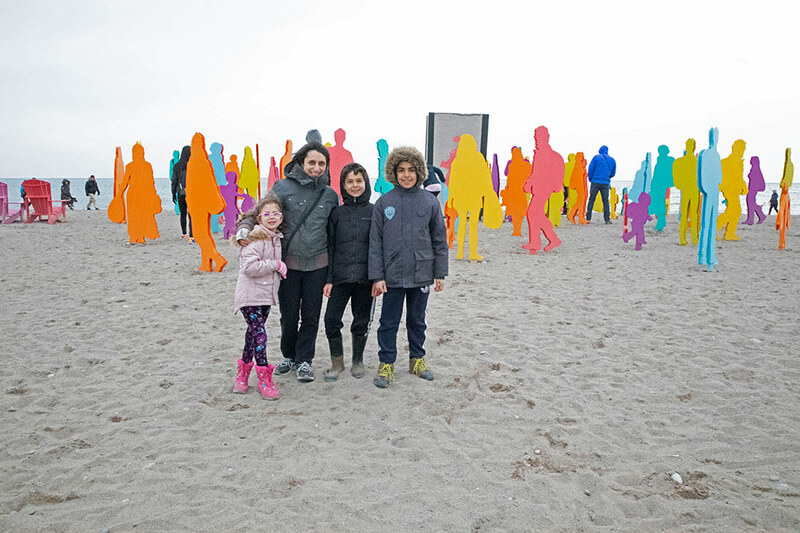 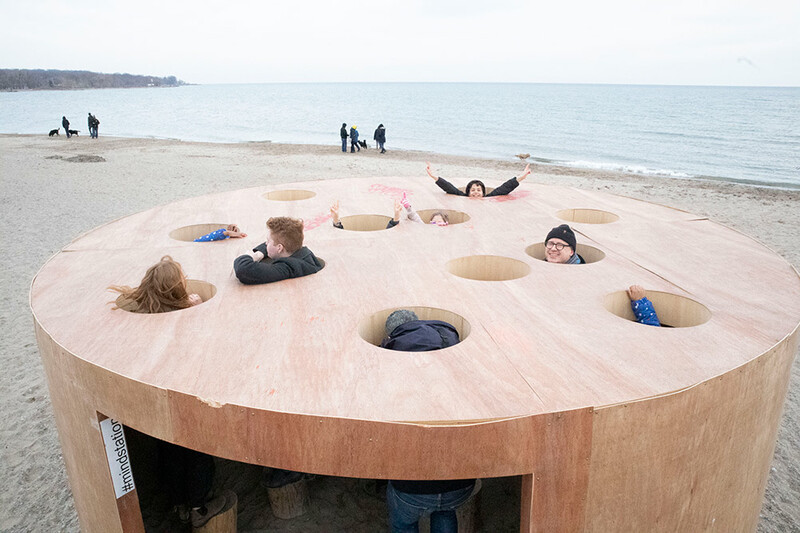 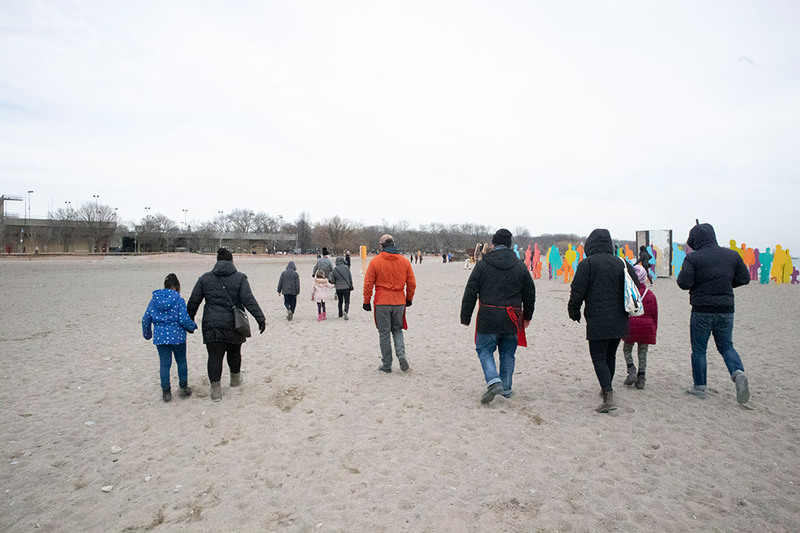 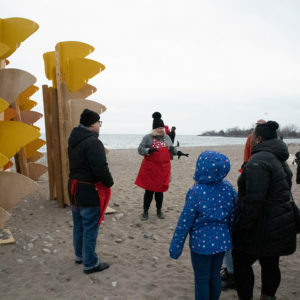 The afternoon began with a tour of the 2019 Winter Stations installations on Woodbine Beach, guided by staff members from East End Arts and Small Print Toronto. 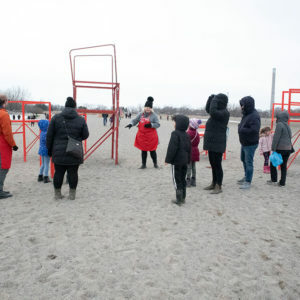 Children and their families learned about the concept behind each of the public art installations, and interacted with the unique designs. 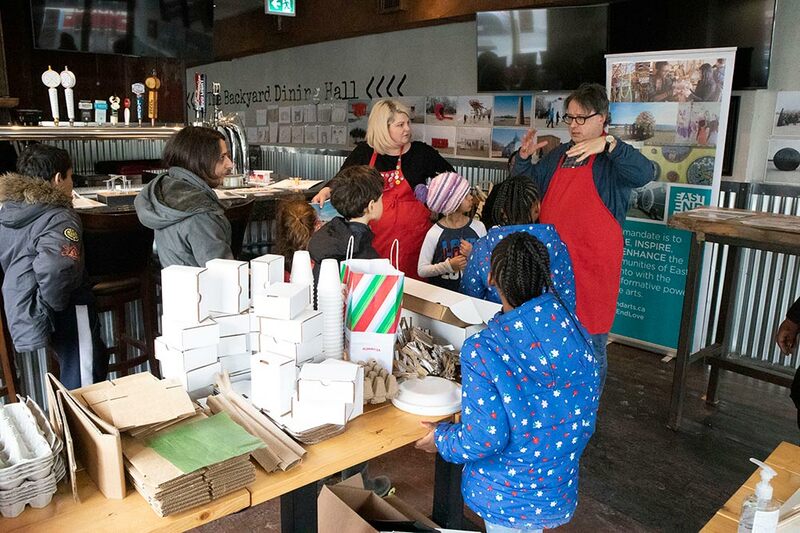 Following the tour on the beach, kids took part in an arts & craft pop-up at 1961 Queen Street East. 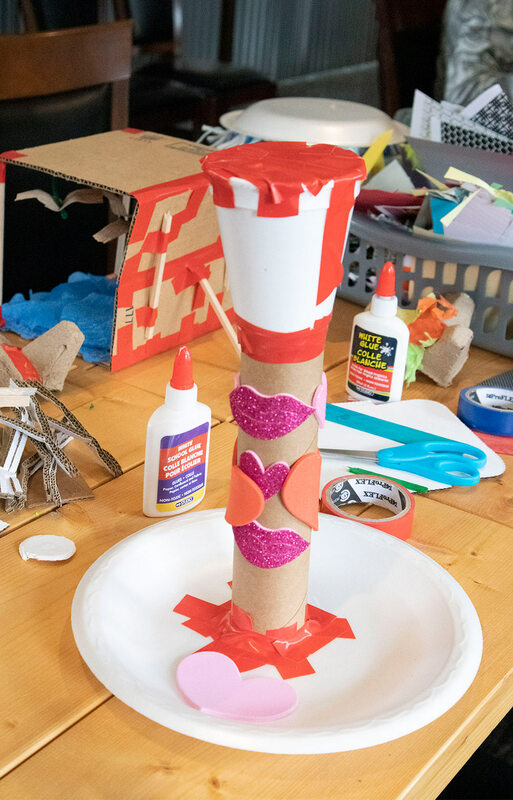 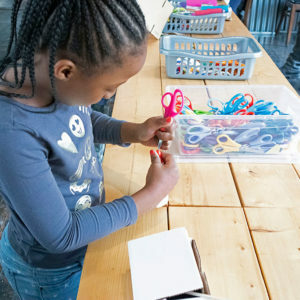 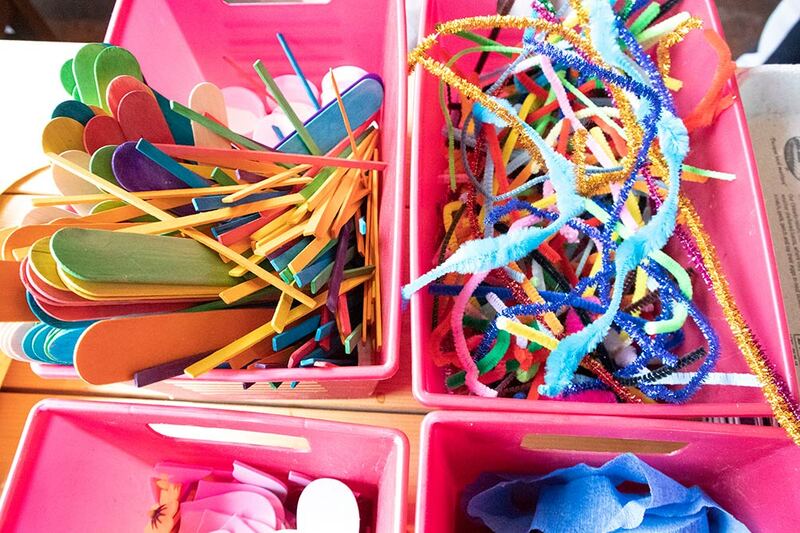 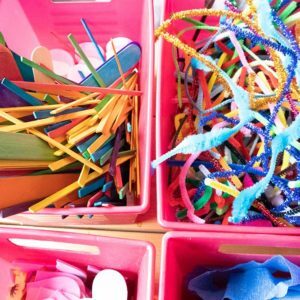 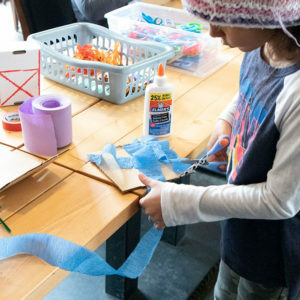 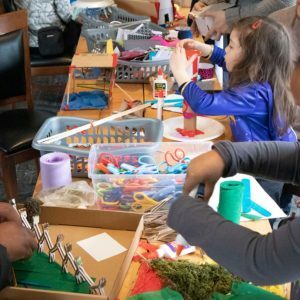 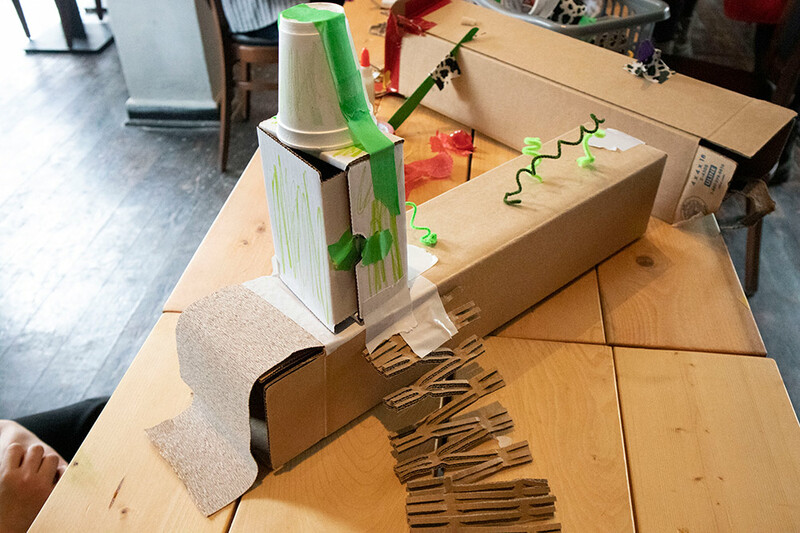 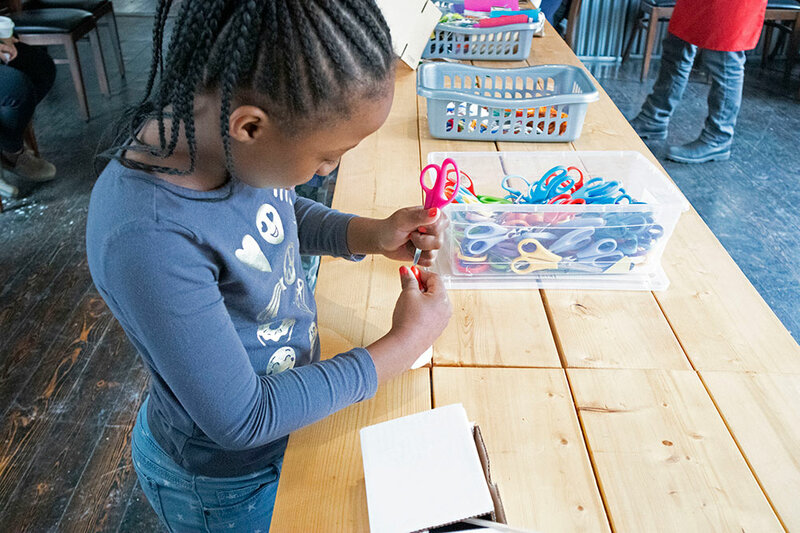 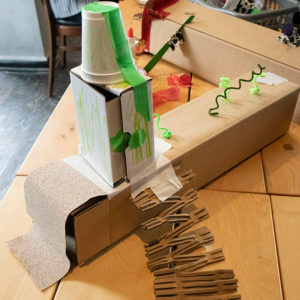 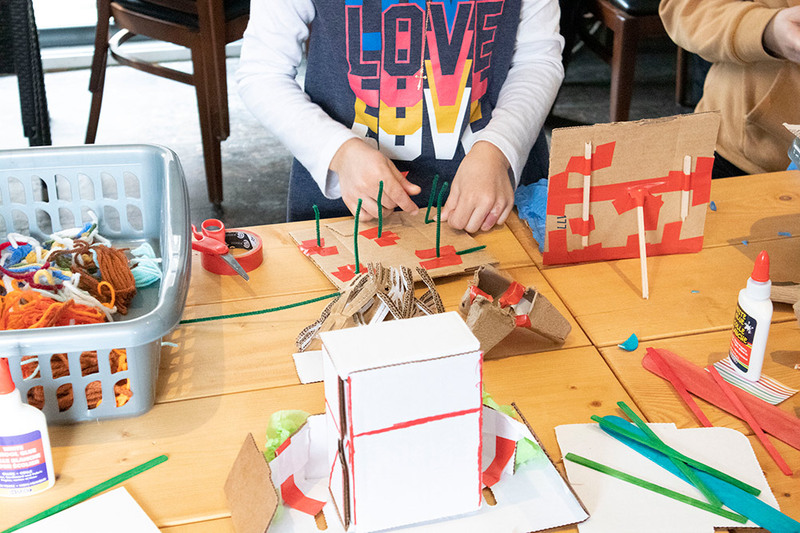 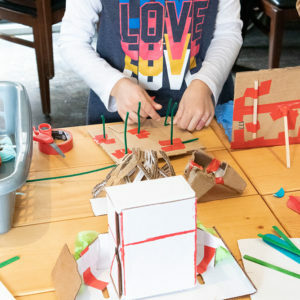 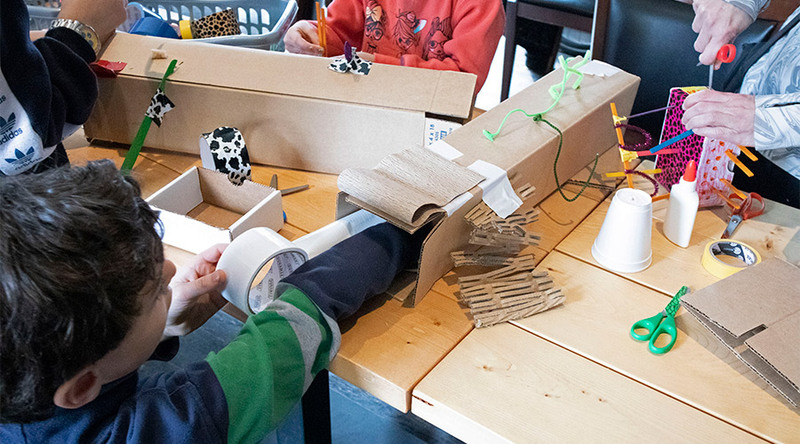 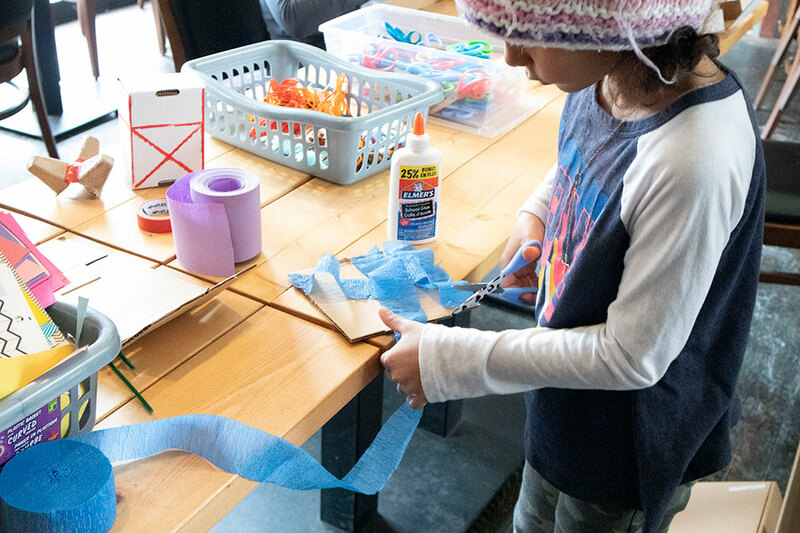 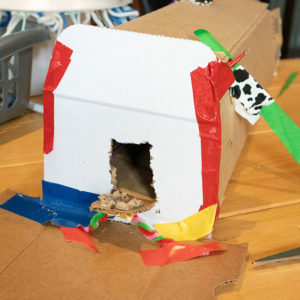 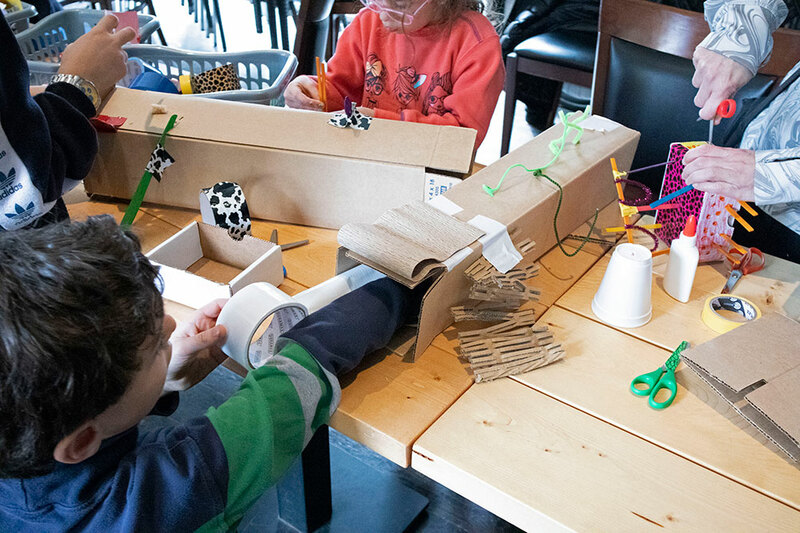 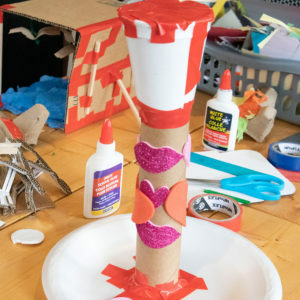 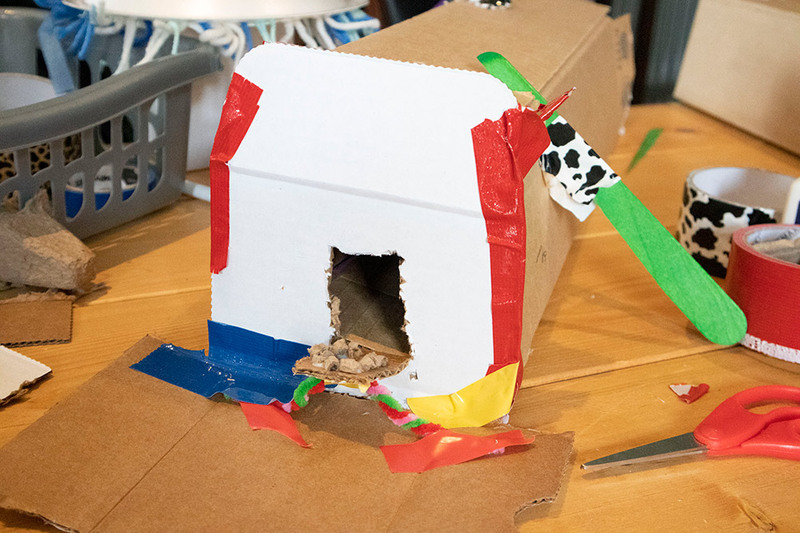 This activity allowed kids to build their own miniature Winter Station using recycled materials and craft supplies, like egg cartons, pipe cleaners and more! 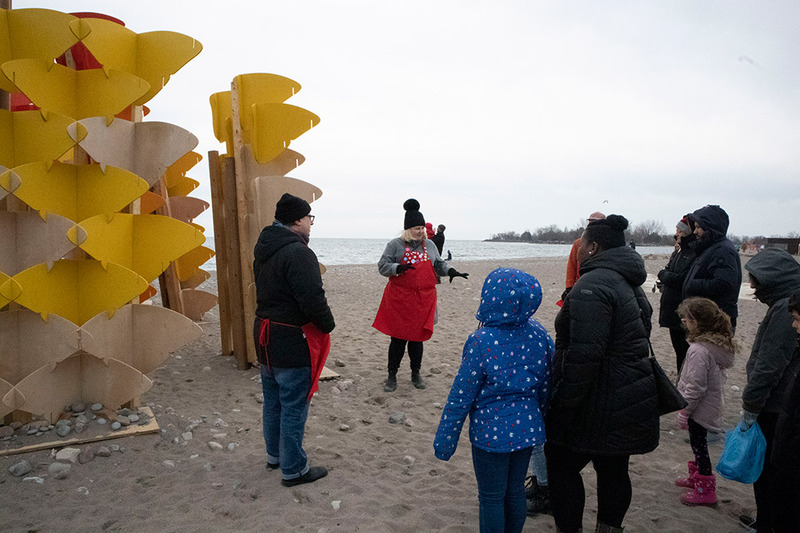 East End Arts had a wonderful time exploring the beach, and getting crafty and creative with all the participants – thank you to everyone who came out! 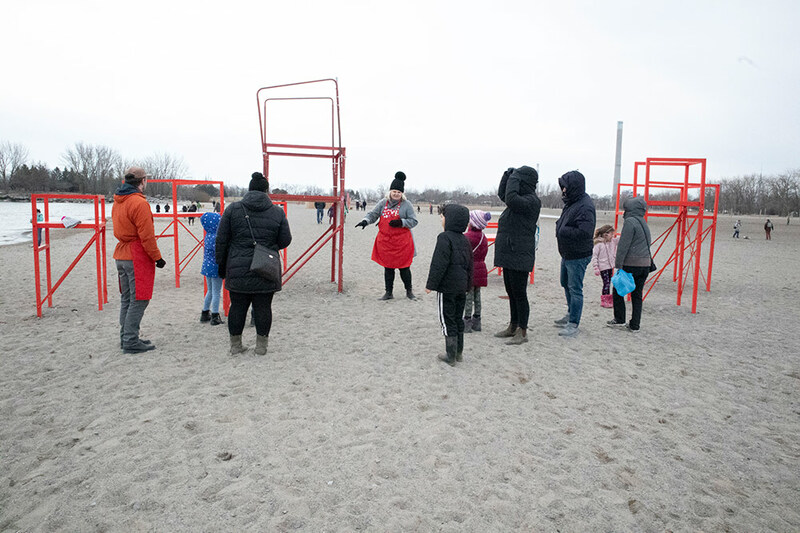 Photos below by Chelsea, at East End Arts.